This Thursday we are showing our documentary in the PNW at the Hollywood Theater in Portland. 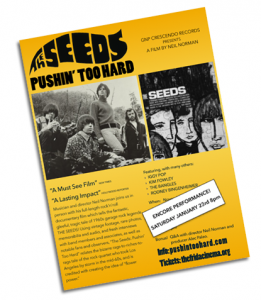 This will be our eighth screening and only the second outside of SoCal where The Seeds got their big break. We are hopeful that Portland, with its love of the eclectic, finds something to love in the scenes and the sounds.